The Ringing Scheme in Britain was 'hatched' in 1909, though actually originated as two schemes: one run by British Birds, instigated by the editor Harry Forbes Witherby (right), and one at Aberdeen University, started by Arthur Landsborough Thomson (left). A third scheme, organised by Country Life magazine also started at this time, but the rings were not uniquely numbered. 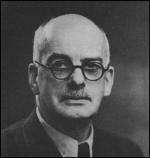 The Aberdeen Scheme ended during the First World War, and in the 1930s, following the founding of the BTO, the British Birds scheme was transferred to its current home. More details on the Aberdeen Scheme can be found here. In the early years of the Scheme, these pioneers set out to answer some of the more basic biological questions of the day. Where do our summer visitors spend the winter, and where do our winter visitors breed? Identifying that Swallows spend the winter in South Africa (as the more modern map on the right shows) was outstanding at the time, and the importance of this shouldn’t be forgotten. As noted by Witherby, these migrations are awe-inspiring journeys. Even after 100 years, the wonder still exists; a Sand Martin ringed at a Hampshire colony was recaught by the same ringer the next winter in Morocco, only for the two to be reunited again the next summer back at the same colony! Distant recoveries also illustrate the prodigious, but regular, journeys that are easy to forget. An Arctic Tern that flew into a Japanese whaler off the Antarctic pack ice is the only BTO-ringed bird to be found at a southern latitude higher than the northern latitude at which it was ringed. We’d be foolish to think we know it all now though, and there are a whole suite of species for which we still don’t have answers to these simple biological questions. Wintering areas of declining species such as Swift and Pied Flycatcher remain a mystery, and whilst we know so much about Swallows, we know next to nothing about House Martins, with just two recoveries south of the Sahara (in Senegal and Nigeria). 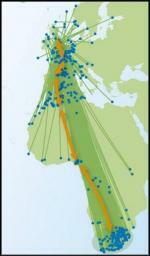 Migration patterns change as well, and can do so remarkably quickly. We all know that Blackcaps winter around the Mediterranean, but the late 1970s saw an increasing winter population in Britain. Obviously these were our own birds choosing to stay put and risk the winter weather… But ringing showed that this was far from the truth, and that our wintering birds were actually from the Continent. These were birds that had migrated west instead of south and, with milder winters and better food availability, this was a very successful strategy. As the scheme grew (in age and size), then so did the record ages recorded in birds. Very few wild birds reach anything like their maximum potential age as there are too many factors working against them – predators, accidents, weather, disease, starvation and plain bad luck. Even so, the top five longevities are staggering. These longevity records are even more remarkable when you consider the vast distances these birds will have covered in their lifetimes. 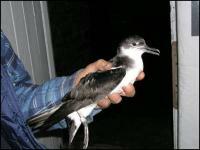 Our 51 year old Manx Shearwater from west Wales (seen left at the tender age of 48) will have spent 51 winters off the coast of southern Argentina, covering 1.5 million kilometres just getting there and back! But when we talk about longevity, we’re really talking about extremes, which don't reflect the true picture for the majority of birds. From a population point of view, and this is the modern focus of the ringing scheme, we’re interested in demographics; births and deaths, or in demography terms, productivity and survival (the opposite of mortality). Collecting this kind of information allows us to look in detail at what is happening to populations. Population declines are often caused by changes in just one part of a birds’ life, be that fewer fledged chicks per brood, fewer nesting attempts per season, lower survival of recently fledged chicks or overwinter survival, for example.